The cathode bypass capacitor needs to be 5uF to ensure response down to 20Hz. 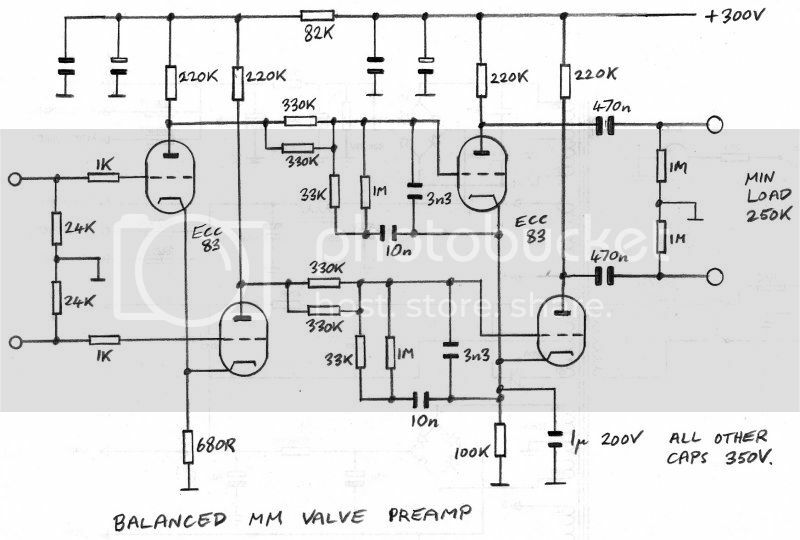 Hi Barry, after your question on whether my MM phono circuit could be adapted for full balanced design (http://theartofsound.net/forum/showthread.php?t=24035), I have been thinking of a design with 2 ECC83s. If you are still interested I will post it up for your perusal. All times are GMT. The time now is 05:08.